Glasgow may just be as famous for its shipbuilding past as its love and appreciation for the arts. Walk down any city street and odds are you'll see an art gallery or commissioned street mural tucked in between a pub or bar. They're everywhere and on our first day in Glasgow we headed to the Kelvingrove Art Gallery and Museum. The inside is as beautiful as the exterior and exhibits range from the ancient to the modern. Like the 'hanging heads'? The medieval suits of armour stir every little boy's imagination...including John's! 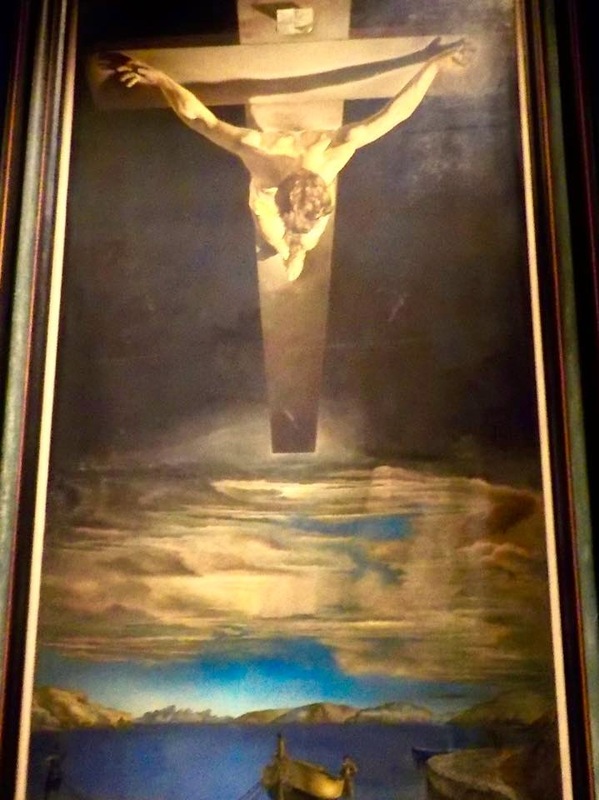 And for the serious art connoisseur there is Dali's Christ of St. John of the Cross. The Mackintosh exhibit, however, was my favourite. As a student at the Ontario College of Art (1968-72) I studied his work and have always admired his interpretation of the art nouveau movement. Day two in Glasgow we wanted to see his house located at Glasgow University's Hunterian Art Gallery. As luck would have, however, we wandered into the Hunterian Museum instead. Pretty impressive, huh? Needless to say we seized the opportunity to take a short but informative tour lead by a University of Glasgow science student. 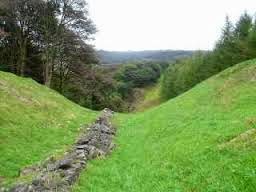 While we knew of (and have visited) Hadrian's Wall, he reminded us of the second wall built by the Romans, the Antonine Wall. The wall runs from one side of Scotland to the other, stretching all the way from the River Clyde to the Forth. When the tour ended we strolled around the rest of the museum. John is one of those museum and gallery visitors who reads every single sign. I mean. Every. Single Sign. Me? I browse until something catches my attention. I enjoyed the Lost Tomb of Robert the Bruce and while walking from the lower level to the upper discovered this lovely view of one of the nearby University of Glasgow's buildings. Meanwhile, hovering above the student's head the sands of an hour glass measure the length of his session. Talk about pressure! The Hunterian Art Gallery (literally across the road from the Hunterian Museum) is home to the MacIntosh House - a meticulous reassemblage of 6 Florentine Terrace, Glasgow where the couple (Charles Rennie MacIntosh and his wife Margaret MacDonald MacIntosh) lived from 1906-1914. The original home is long gone and photos are not permitted, but the picture below from the Hunterian website provides a glimpse of the elegant interior. Everything from lamps, wall paper, furniture, fabric, etc. was designed by either Charles or Margaret. The simplistic design is especially creative given the norm of the Victorian desire for ornate embellishment. Last but not least we headed to the Riverside Museum, voted European Museum of the Year 2013. As is our custom, we enter then decide upon an appropriate time to wander separately. Not surprisingly, however, we discovered afterward our favourite exhibit was Ewan McGregor's motorcycles from his two epic journeys Long Way Round and Long Way Down. "Change your life. Take your time. Take the long way."